Please welcome Sophie Perinot to the blog this week. 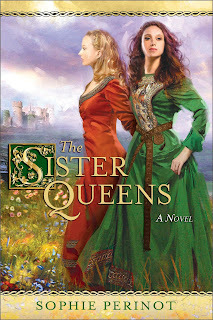 Her work of historical fiction, The Sister Queens, has just been released from Penguin. Set in the 13th France and England century, The Sister Queens weaves the captivating story of medieval sisters, Marguerite and Eleanor of Provence, who both became queens — their lifelong friendship, their rivalry, and their reigns. I got this for my kindle and, have to say, the romance and historic details are amazing. So much is packed into one book. You are treated to the culture of France and England with side trips to go crusading in the Holy Land. Awesome! 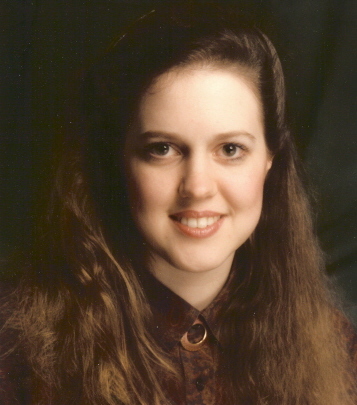 As an author of historical novels I write books filled with characters who communicate on pieces of parchment or lovely crisp vellum (depending on the time period). So it is perhaps particularly appropriate that the exchange which culminated in my getting “the call” began with a note written by fountain pen on a lovely piece of laid stationary. I’d been querying, cautiously. But with a decent rate-of-request (if you are a writer and don’t know what r-of-r is, get thee to AgentQuery Connect) it was time to go for broke and query the top of my A-list, including my dream agent, Jacques de Spoelberch. I sent him a snail mail query – one page, no sample chapter; one chance to make an impression. Then I waited. When you have queries outstanding going to the mailbox (real or virtual) is agonizing. The day I saw Jacques’s return address on one of my SASEs I swallowed hard. Holding a sealed envelop from a top agent is a moment-of-no return—it is the last instant you can dream that “this will be the one.” Unless there is a request for material inside the envelope. And there was. My dream agent wanted a full, on a short exclusive. Heaven. I tried not to think about that full—which means I thought about it pretty much all the time, even as other requests rolled in and had to be deferred until the exclusive expired (the agents I asked to remain in a holding pattern were extremely gracious). Then, a few days before the end of the agreed-upon time period my phone range. Caller ID flashed my agent’s name. I picked up trying to sound as if agents called me all the time and doubtless failing (though Jacques, gentlemen that he is, never gave any indication that I sounded less than collected). I will never forget the first thing he said, “So remind me, did I know how long this was when I asked for it?” A sense of humor, you have to love that in an agent. Turned out that despite the length (enormous) Jacques was very enthused about my book. Clearly a risk taker—another fine quality in an author’s representative particularly if you are a newbie author because, by definition, we are a big risk. Jacques wanted to hear about my ideas for other books and wanted some “future project” descriptions and other information by email. I wanted to hear his reactions to and ideas for the manuscript on his desk. We were getting to know each other. He asked for a little more time to finish reading the novel. I thought that only fair—especially since I’d (deviously) left the word count out of my query. About a week later he called again. How would I like to get together for lunch? No offer, just an invitation. I’d have to get on the train from DC to NYC on faith. But I am a woman of faith, and I am also a person who likes to see the whites of someone’s eyes before she makes a deal. So lunch was a perfect idea. Lunch also turned out to be delightful. The “fit” between us was obvious from the moment the water glasses were filled. We talked animatedly all throughout our main course. This wonderful man clearly loved my book more than my own mother did. That’s an incredible feeling, especially given the amount of self-doubt the query process induces in the average writer. He also had concrete ideas for what I might do to make the manuscript even better and they resonated with me. Finally, we laid down our forks. I wasn’t sure just what to expect next, but as the plates were cleared the magic moment came—no, not the dessert menu, an offer of representation. Let me tell you, that’s the sweetest way to end a meal ever. I didn’t need to think. I said yes on the spot. Any writer who tells you she doesn’t have a “dream agent” is either one-in-a-million or telling you a fib. Agent crushes are as common to writers as regular crushes are to teenagers. Notice I said SHORT exclusive. Many writers are totally anti-exclusive. I don’t take that hard line but I would never offer an exclusive or agree to one with out an explicit time limit. That time limit should be weeks not months. Make a note here – before you start querying it is a darn good idea to write down little 1-2 paragraph synopses for each of your future book ideas. Ideally these should be in the same genre you will be querying. If you do this you will thank me later because it is very common for an agent to discuss future work before signing a client. Talking to an agent is a two-way interview. It’s hard to remember that when you are a newbie author and want an agent more than anything, but remember an offer from an agent is like a marriage proposal in one way – just because someone asks doesn’t mean you should say yes. That’s hard for beginner writers to remember but (say this 100 times to yourself) “the wrong agent is worse than no agent at all.” You are going to be entering into a working relationship that (hopefully) will last for a long time. Make sure you select an agent whose style of getting things done and whose personality meshes with yours. Honestly, if you live on the East Coast and have a chance to meet your agent either before or after signing DO IT. Consider your travel costs an investment in yourself as a professional. Ditto editors. While your book is on submission if your agent reports that editor X would love to meet you, make that happen. It is common form to ask for time to think about an offer of representation and to contact other agents who are in possession of requested material. Generally that is a very polite thing to do. If, however you are 110% certain that the agent offering is “the one,” then asking other agents to bump your material to the top of their reading pile and race through it to make a counter offer is, imo, the opposite of polite. Website http://www.sophieperinot.com/home/my-books-2/ (where people can read more about the book).